The herbal remedy fenugreek has many uses in traditional medicine, but few scientific studies have been done on it. Like all foods and herbs, fenugreek could potentially cause an allergic reaction in susceptible individuals, although reactions are unlikely. The herb is listed on the U.S. Food and Drug Administration's GRAS list of compounds generally recognized as safe for human consumption and can be used as a food additive. Fenugreek is commonly found in Asian cooking and as a flavoring ingredient for artificial maple syrup in addition to being used as an herbal remedy for a variety of conditions. 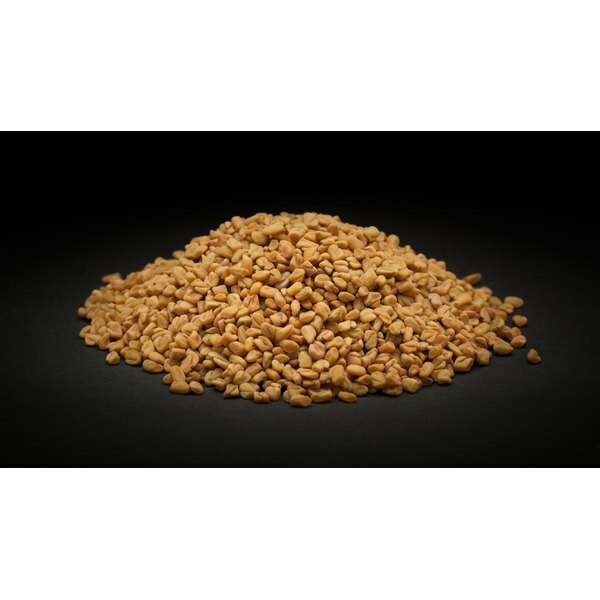 Fenugreek is taken orally as a treatment for stomach upset and the loss of appetite as well as for increasing milk supply in breastfeeding women. This herb is also used topically for the treatment of eczema, wounds and inflammation. Fenugreek is related to chickpeas and peanuts, so people with an allergy to either of these two foods could potentially develop a fenugreek allergy. While an allergy to fenugreek is possible, severe allergic reactions to this herb are rare. A 1997 review in the "Annals of Allergy, Asthma and Immunology" found only two cases of severe fenugreek allergy in the scienfitic literature. Milder cases of fenugreek allergy might remain unreported, but the existence of at least two cases shows that this type of allergy is possible. No allergies have been reported in people consuming food doses of fenugreek. Someone with a fenugreek allergy might react if they ingest, inhale or touch the herb. Inhaled fenugreek seed can cause wheezing, a runny nose and fainting. Topical application can cause numbness and a rash. No anaphylactic reactions to fenugreek have been reported in the scientific literature, but this type of severe allergic reaction may be possible. An anaphylactic reaction involves swelling of the tongue and throat, trouble breathing, hives and a sudden drop in blood pressure. Fenugreek could cause other health issues besides an allergic reaction, so only use it as an herbal supplement under the guidance of a healthcare professional. Fenugreek may lower blood sugar, so it could cause hypoglycemia in some people using it, according to Breastfeeding.com. Other potential effects of fenugreek include inducing abnormal menstrual bleeding, lowering or raising blood pressure, causing or stopping migraines and affecting asthma. These effects are not well studied and the few existing studies have indicated contradictory results. Fenugreek might also affect blood clotting, according to Drugs.com. One harmless side effect of fenugreek is that it causes a maple syrup odor in the urine.